The Duckies have moved from Duck of Minerva to the ISA’s Online Media Caucus, but the process is mostly the same. Vote for your favorite examples of outstanding Online Achievement in International Studies here. The new deadline is January 11th, so nominate away! The Duckies have moved from here to the Online Media Caucus, but that does not mean that readers of the Duck should not participate. Indeed, it means that the DoM is now eligible for nominations. So, wander over to the OMC and nominate for a variety of categories, including best blog, best visual post, best podcast, best twitter account and more! The new ISA caucus, the Online Media Caucus, has taken over the Duckies, and it is now nomination season (much safer than Duck Season). 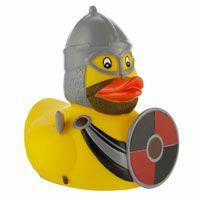 So, head over to the new OMC blog and nominate your favorite blogs, posts, tweets, and other online media for the next round of the Duckies, to be awarded in Atlanta in March at the next ISA meeting. As always, the Duckies will be sponsored by SAGE. The big difference for Duck of Minerva fans is that now that the DoM is not running it, it will now be eligible for the competition (officers of the OMC are not eligible).